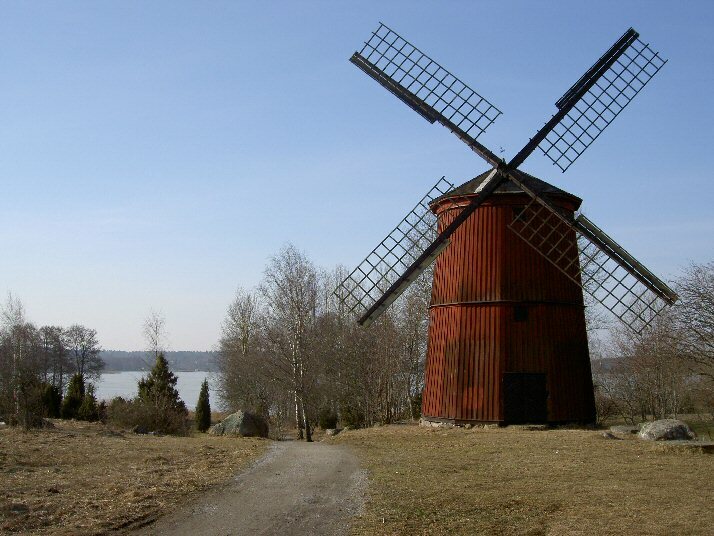 Agnetha - the video "I Wasn't The One (Who Said Goodbye)"
Duvemåla in Småland has become a big ABBA-tourist attraction because of the musical "Kristina från Duvemåla" written by Björn and Benny. 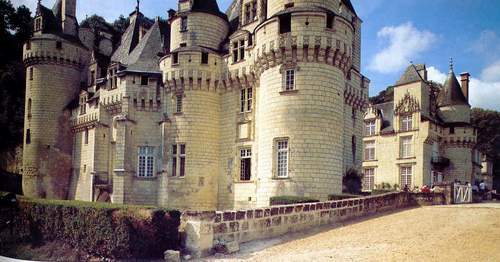 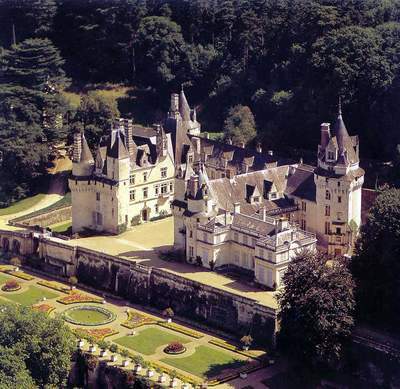 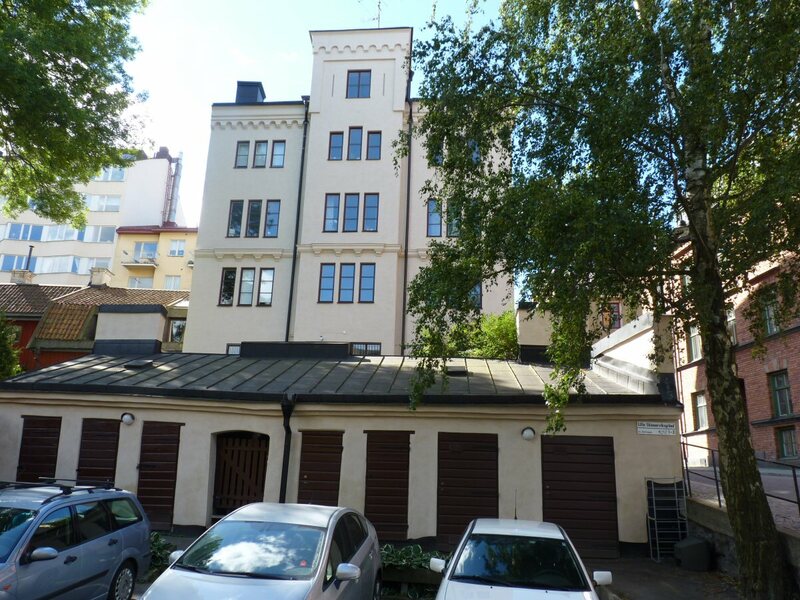 There is not so much to see there though only two houses and a very big parking. 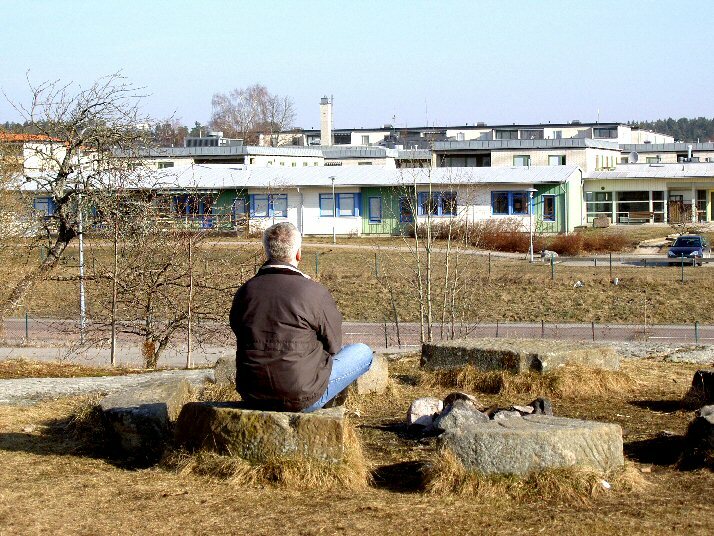 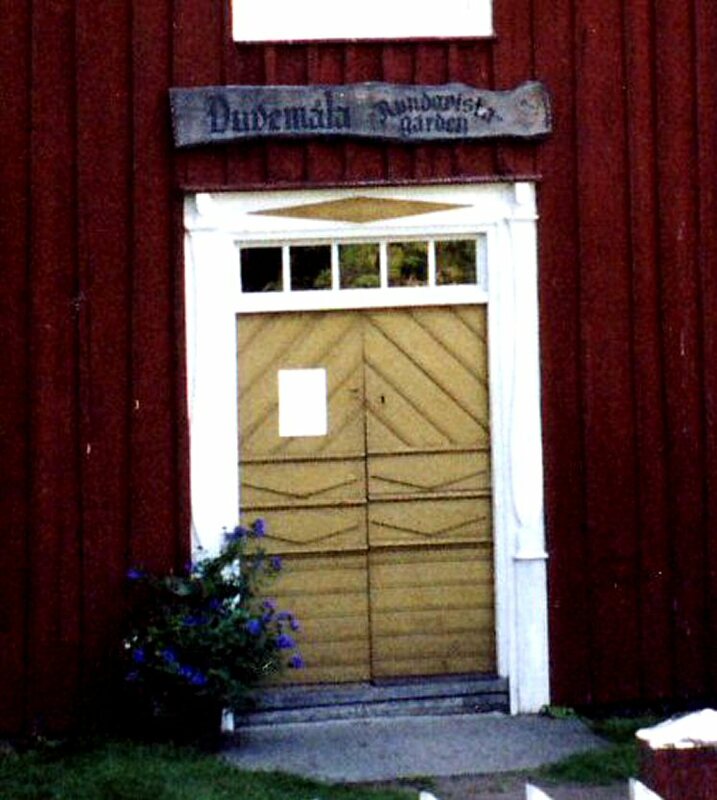 The nearest bigger town is Emmaboda about 2 km south of Duvemåla. 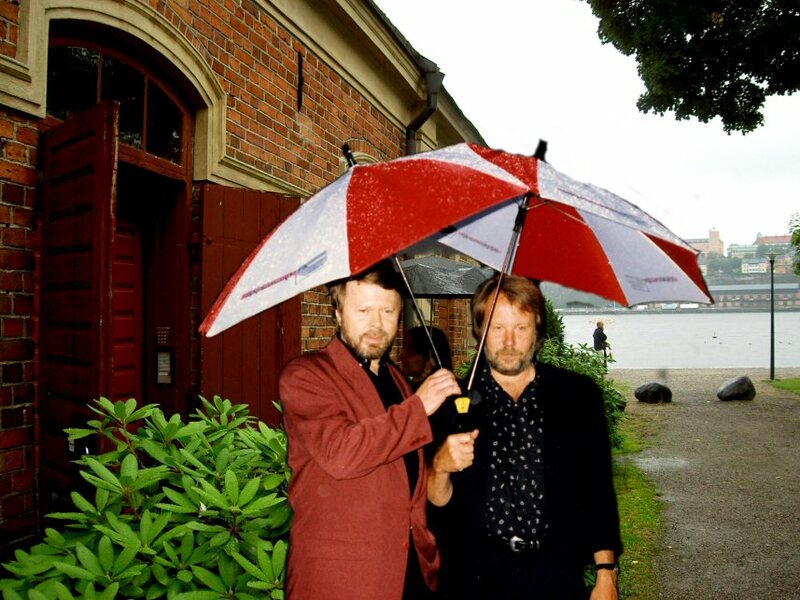 Benny Andersson's Mono Music - the studio and the office on the island of Skeppsholmen in Stockholm. 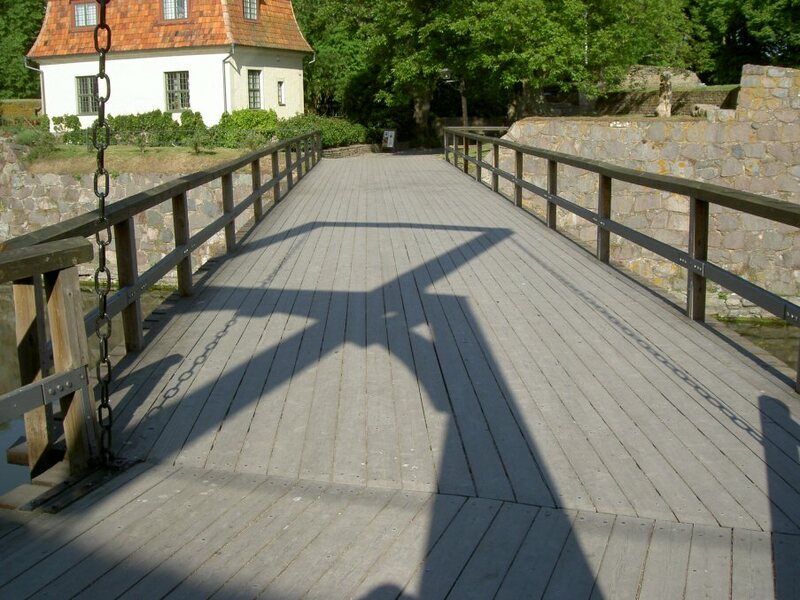 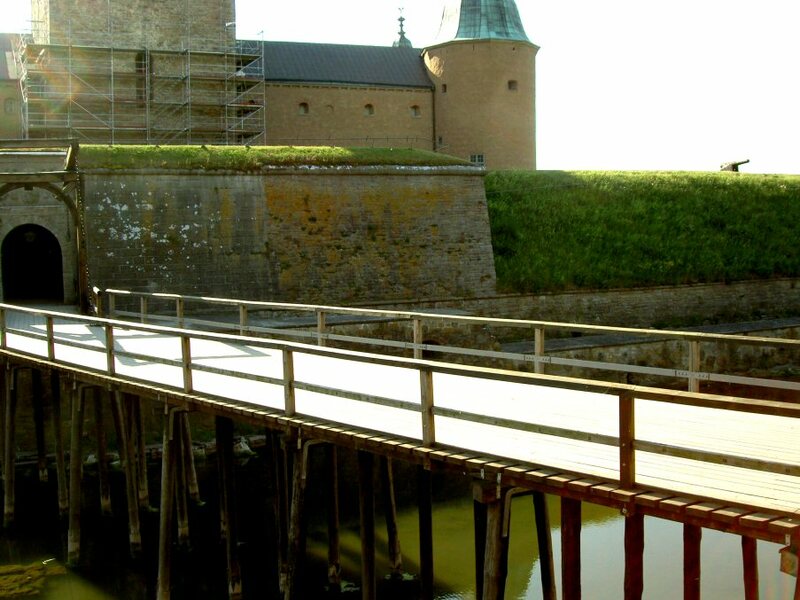 The video was filmed in Kalmar in south-eastern part of Sweden. 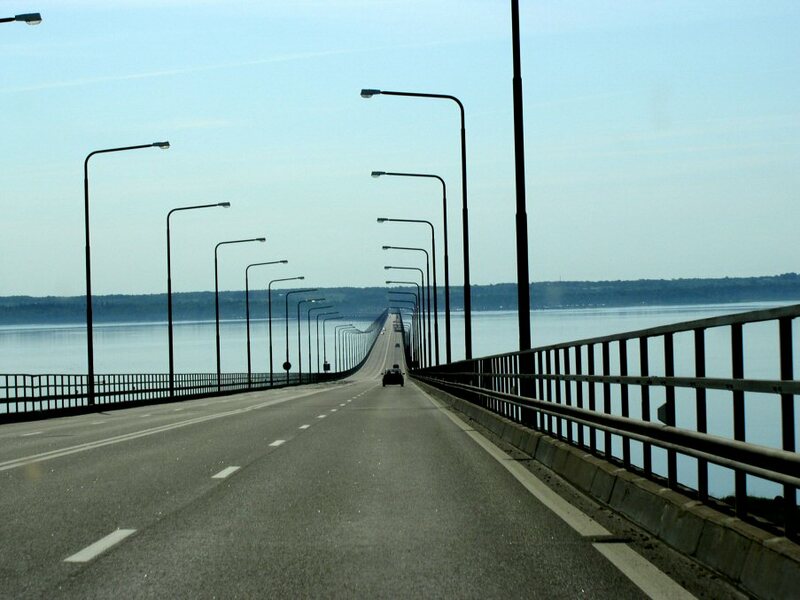 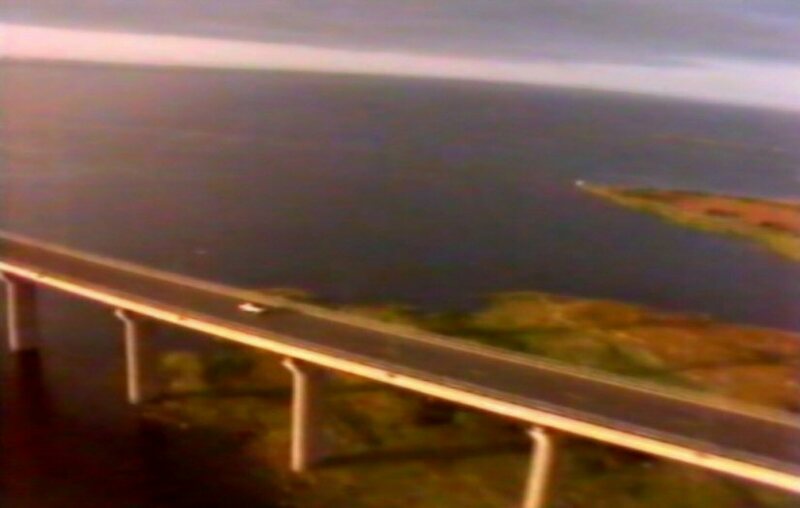 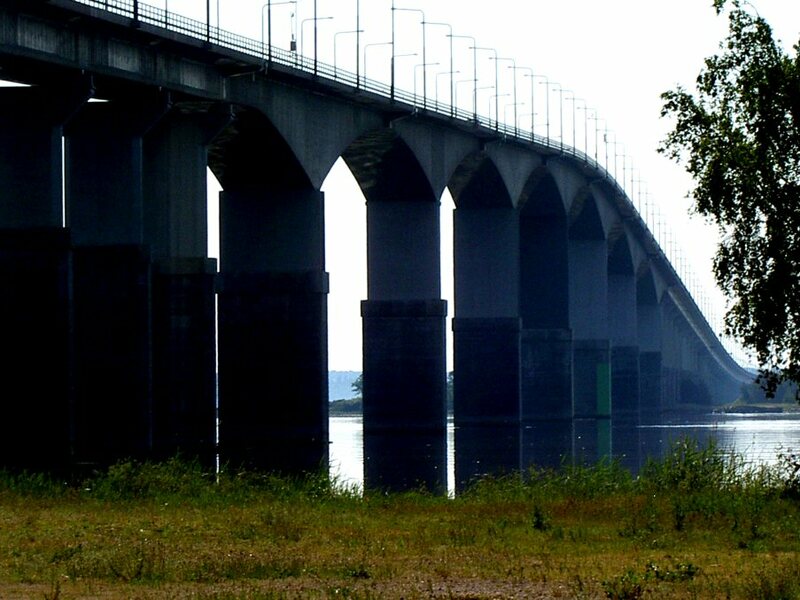 The very first shots in the video show the bridge outside Kalmar which connects the mainland with the island Öland. 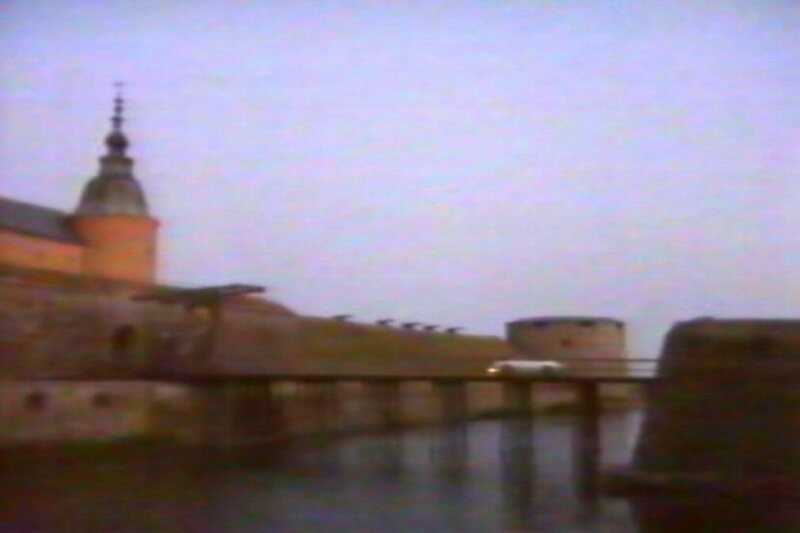 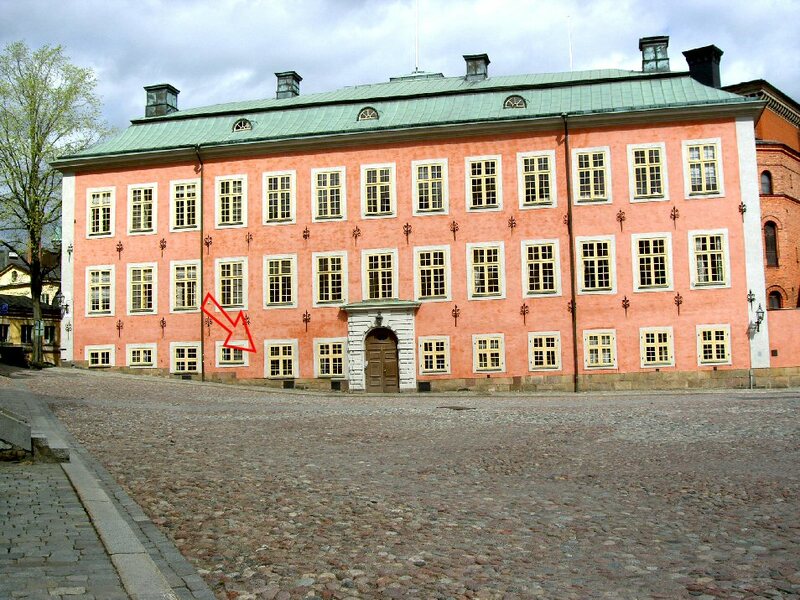 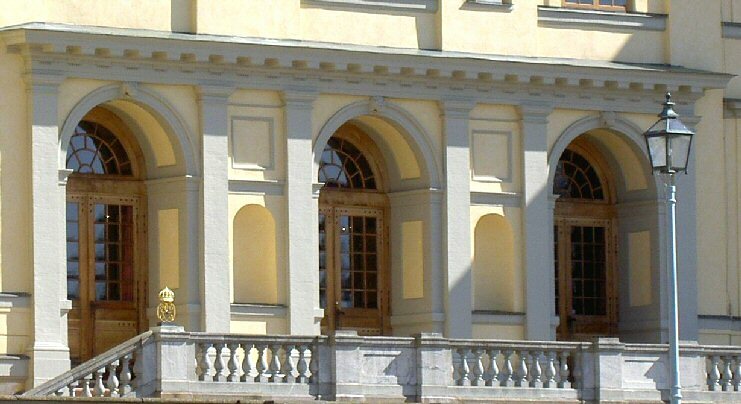 The video was filmed in the city of Kalmar (outside the City Theatre) and outside the Kalmar castle. 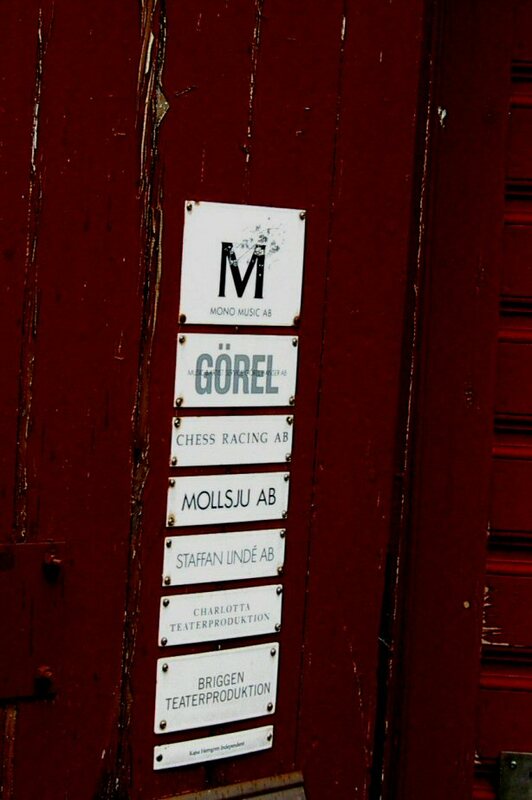 The interior scenes were filmed in the studio in Stockholm. 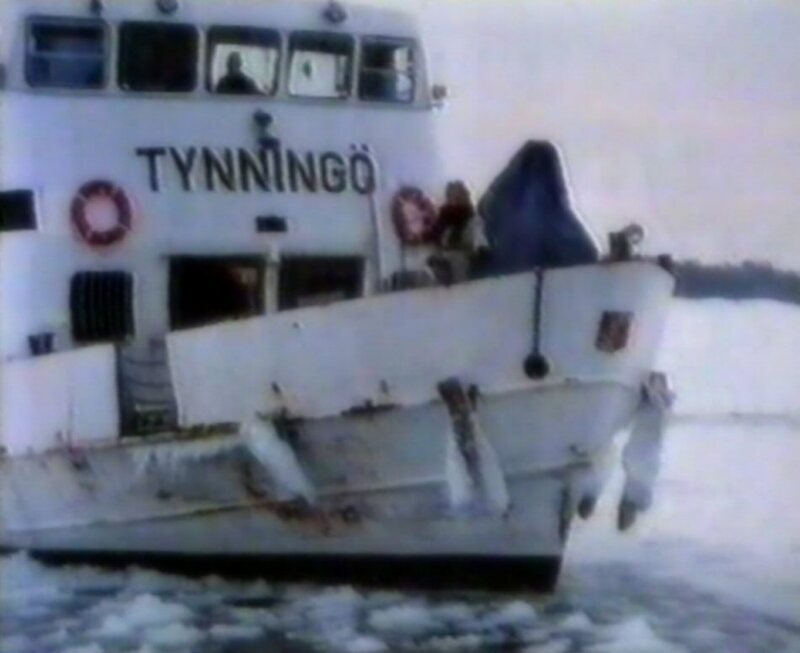 Agnetha acted a girl who is getting involved in a love affair against her will. 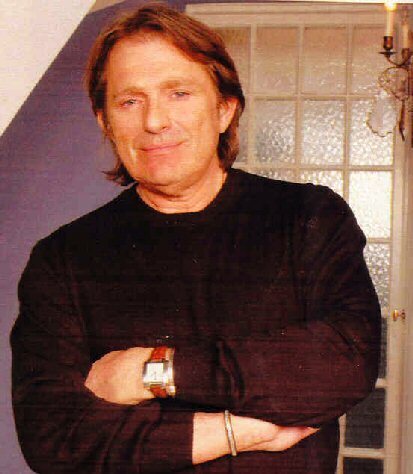 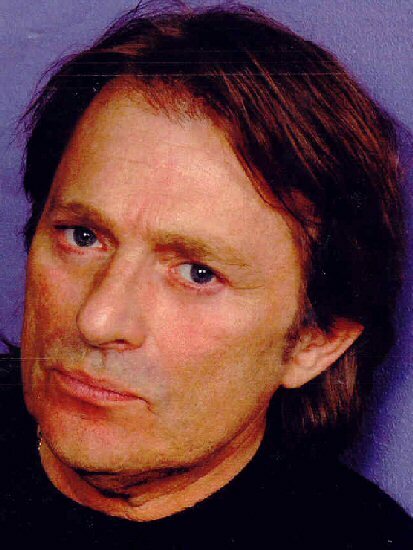 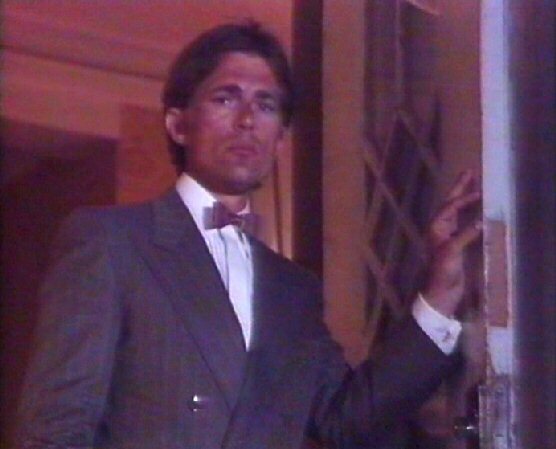 Mikael Rickfors, a Swedish pop singer was playing the man in Agnetha's life. 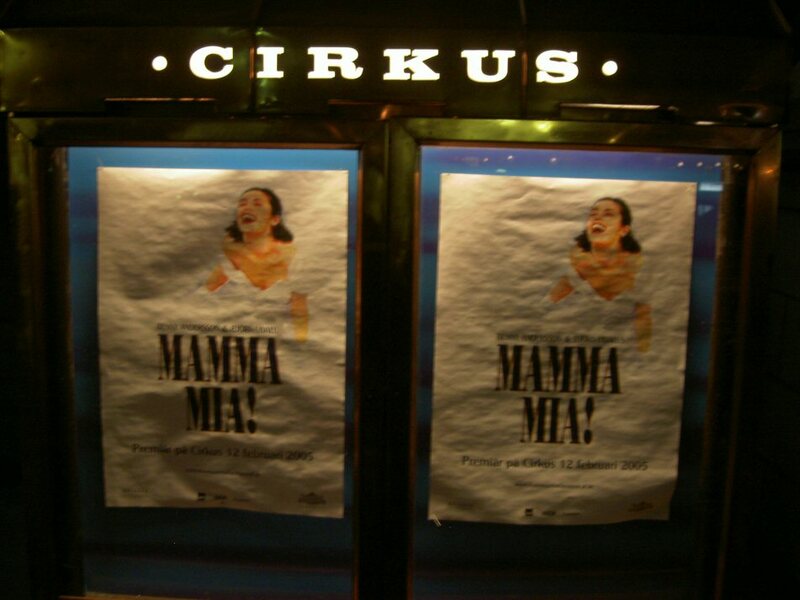 Cirkus concert hall/theatre is well known for all ABBA fans because all ABBA-musicals were played here. 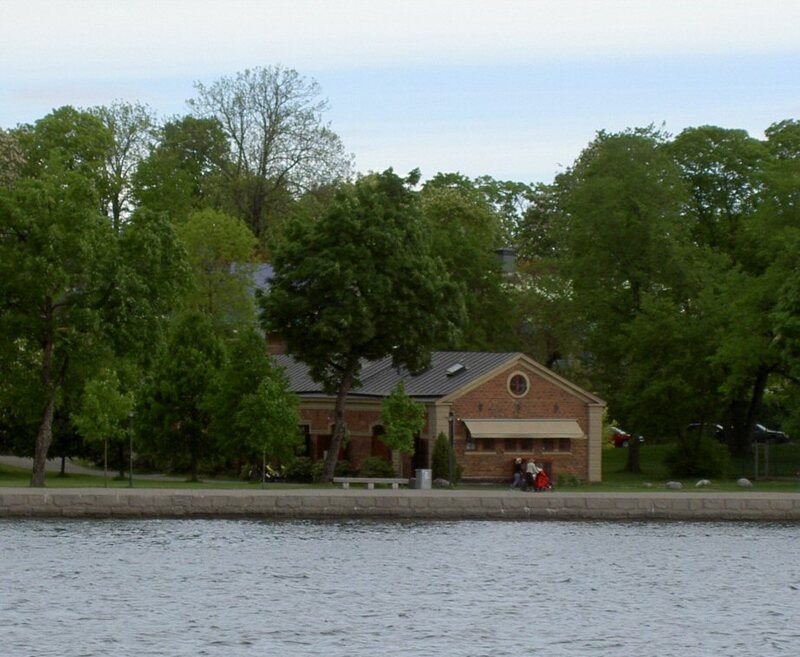 Cirkus is situated on Djurgården next to Skansen's main entrance. 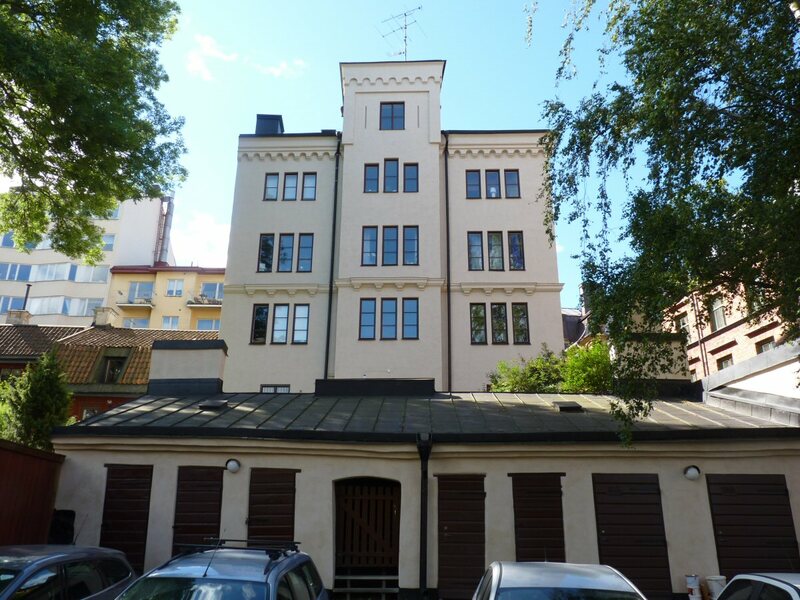 The address is: Djurgårdsslätten 43-45, Stockholm. 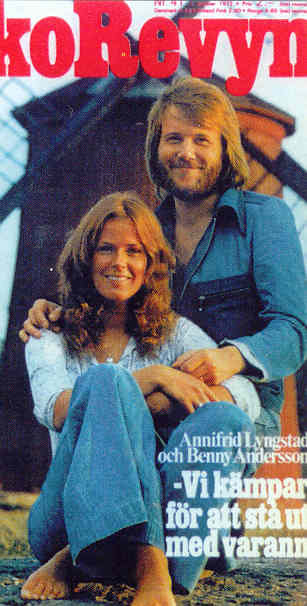 The back cover of Agnetha's "Elva kvinnor i ett hus" album from 1975. 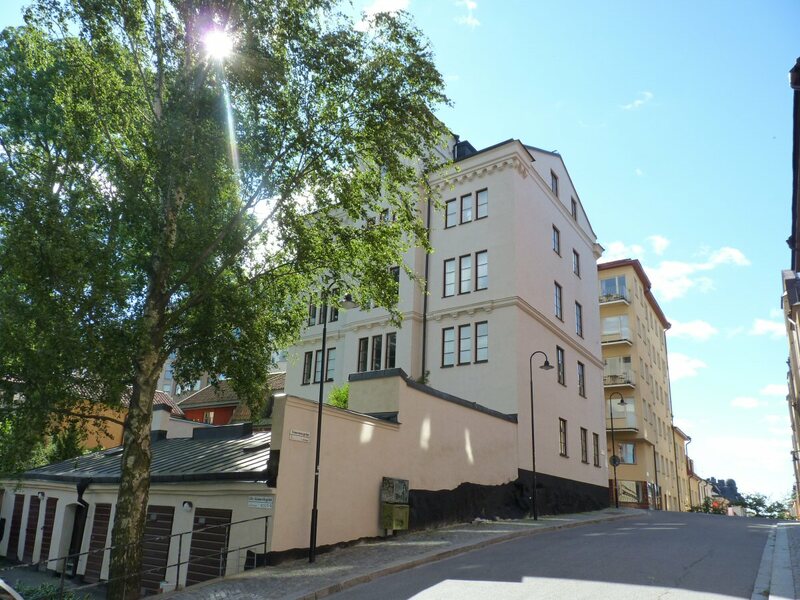 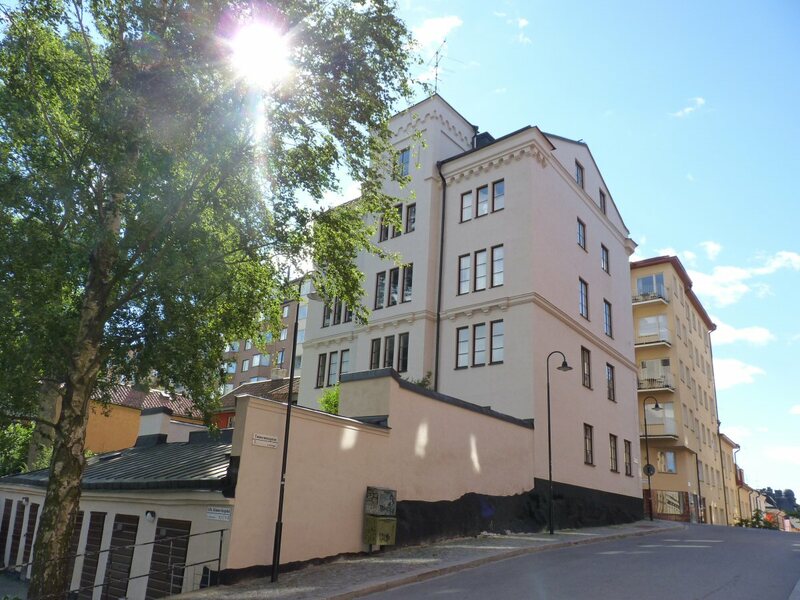 The house can be found on Södermalm in Bastugatan-street. 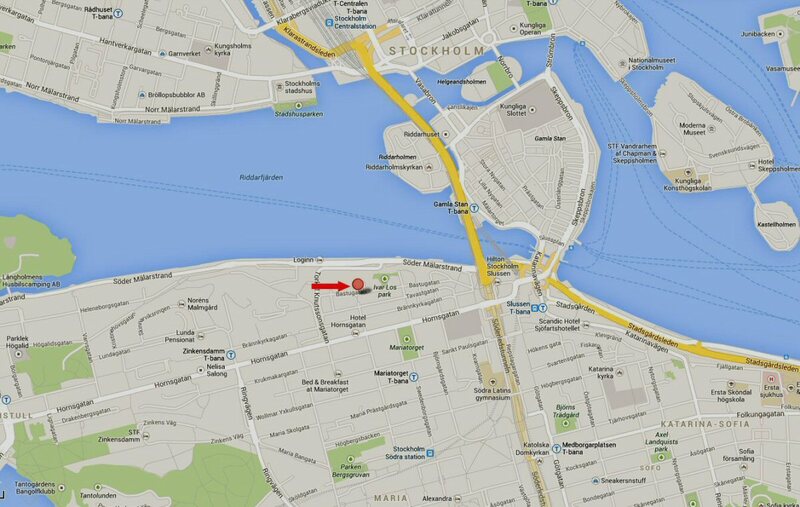 It also can be seen from the Riddarholmen-island and the Town Hall. 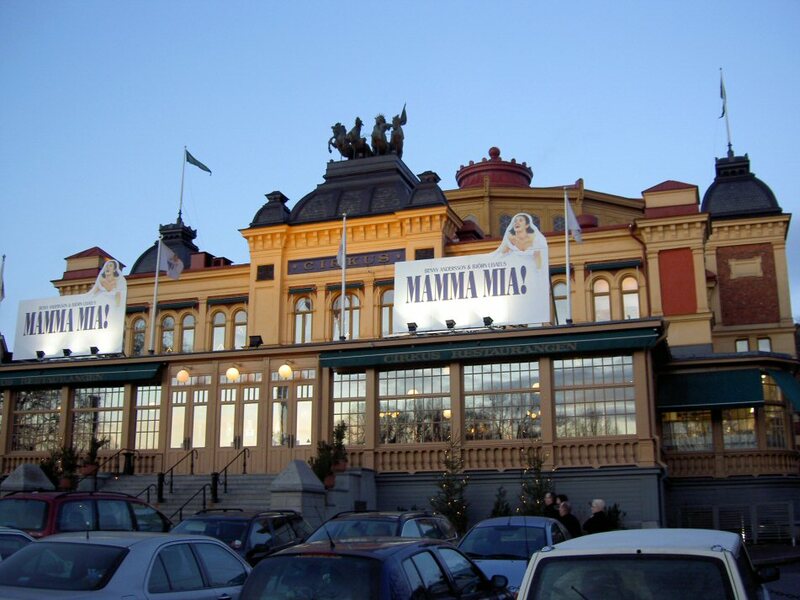 Agnetha promoted her album "Eyes of a Woman" by doing a TV special for Swedish TV. 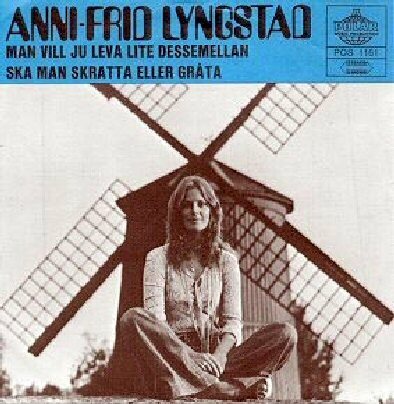 She sang several songs from the new album and talked about her life before, during and after the ABBA period. 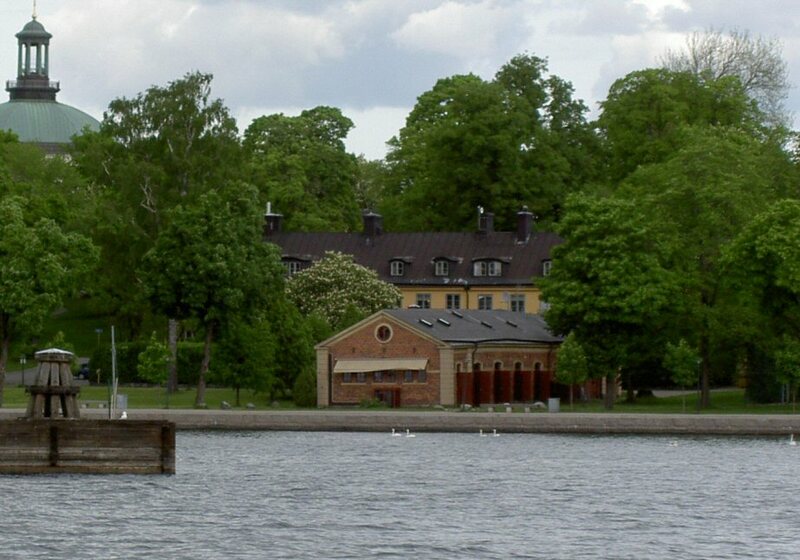 The programme was filmed at various places in and outside Stockholm. 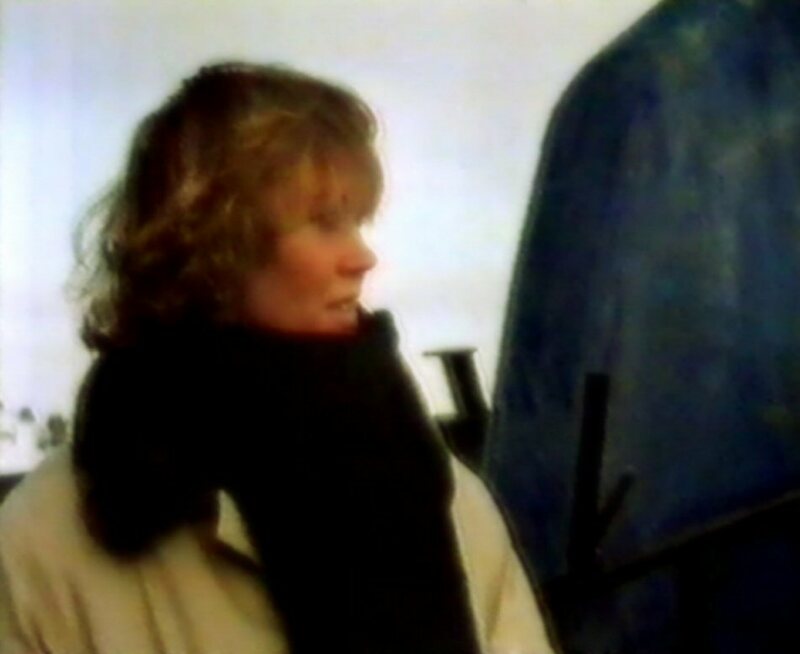 The first scenes in the programme show Agnetha walking in winter Stockholm and watching the birds. 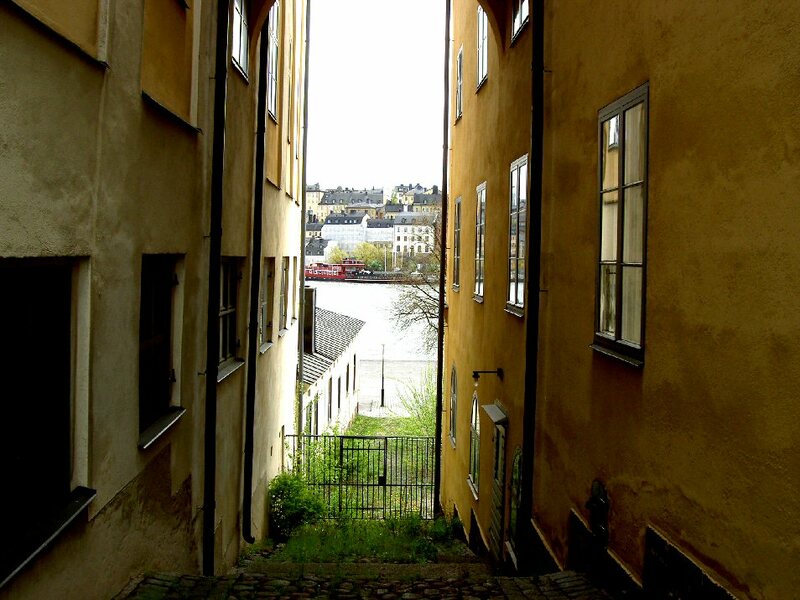 She is precisely in the city centre near the bridge called "Strömbron" connecting the Old Town and the Norrmalm district. 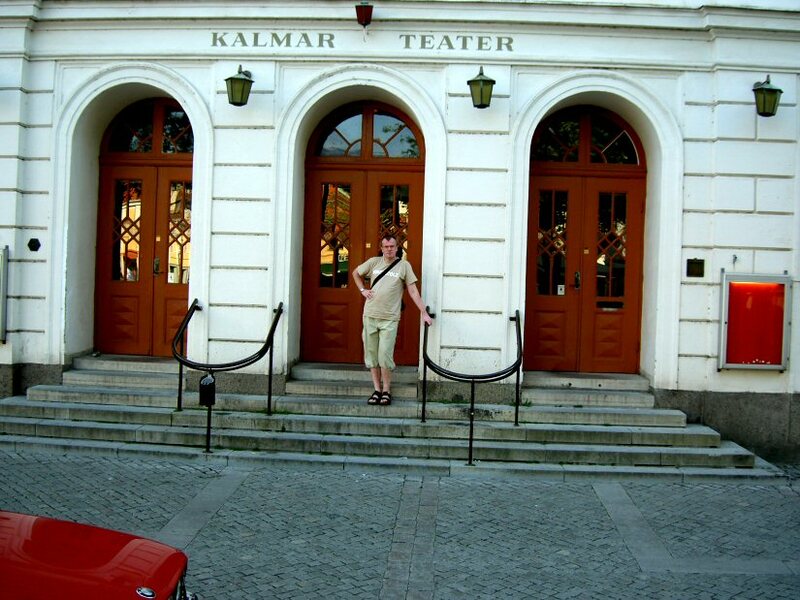 Two important and ABBA related objects can be seen behind her - the Jacob's Church (1) and the Opera (2). 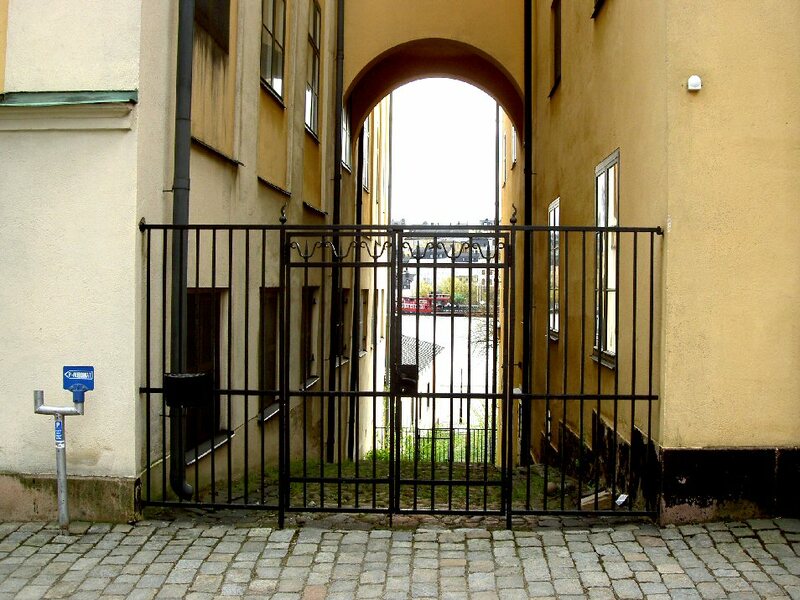 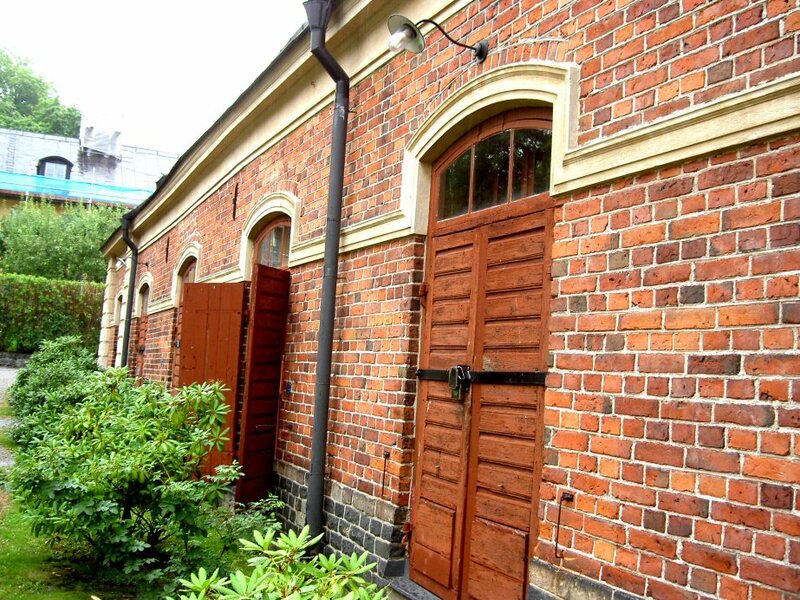 The video "Just One Heart" was made in the very heart of Stockholm - Kungsträdgården, Norrmalmstorg (outside Polar Music offices) and outside the warehouse "NK" on Hamngatan. 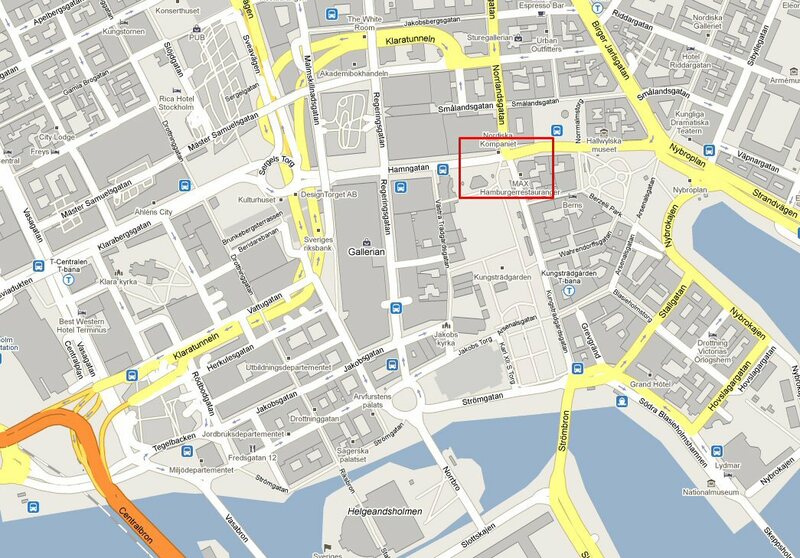 The scene with Agnetha going on the street is filmed on Hamngatan. 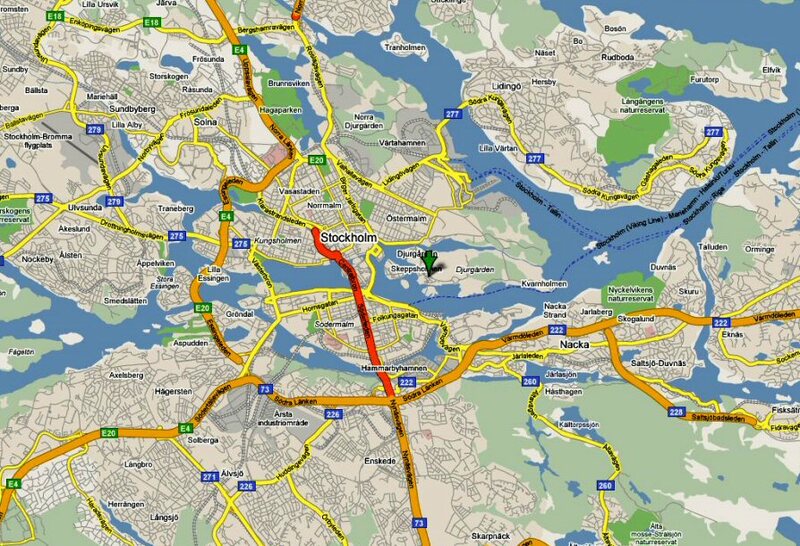 Agnetha is going towards Norrmalmtorg. 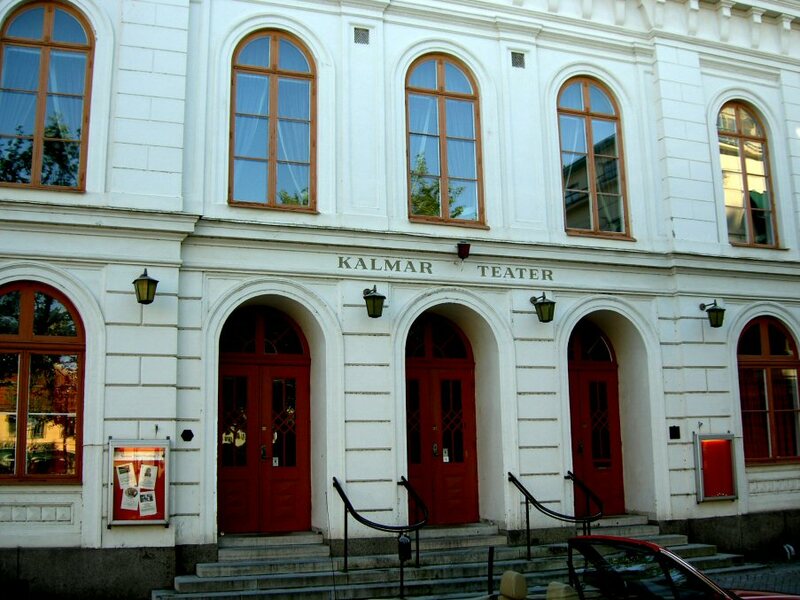 The scenes with the clown and Agnetha were filmed in Hamngatan outside the warehouse "NK" and the head office of the bank "Nordbanken" (present name "Nordea"). 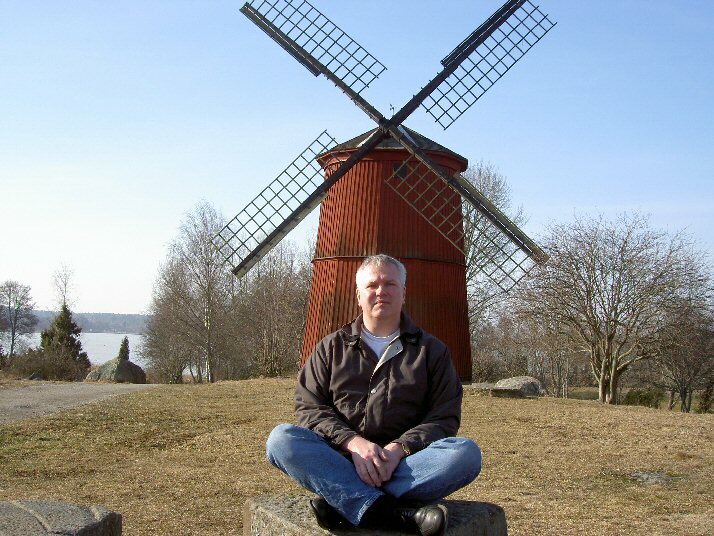 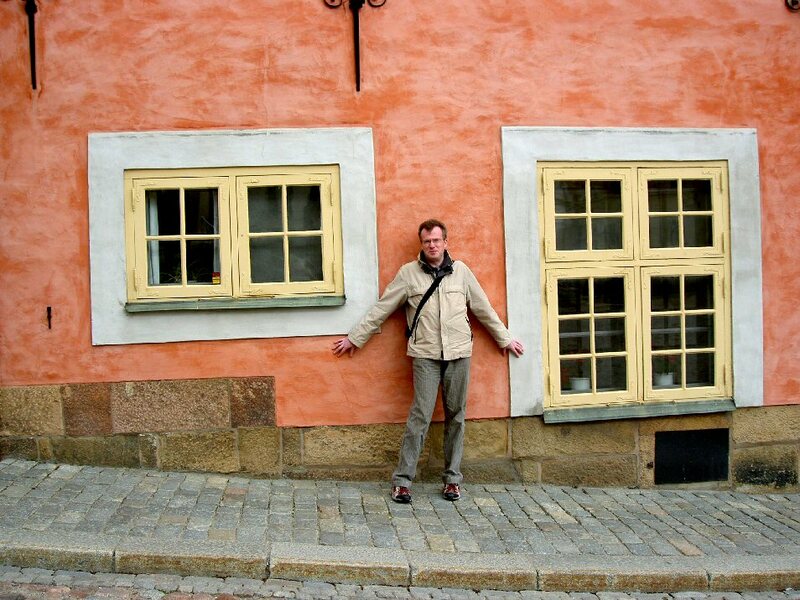 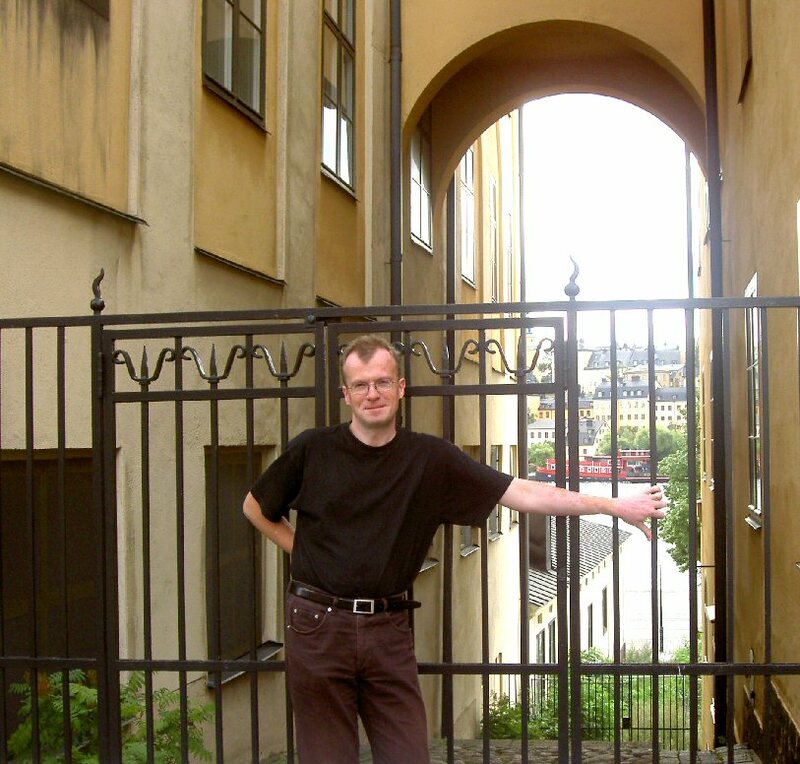 Lasse Hallström filmed Frida and Björn exactly on the same spot in the video for "Head Over Heels". 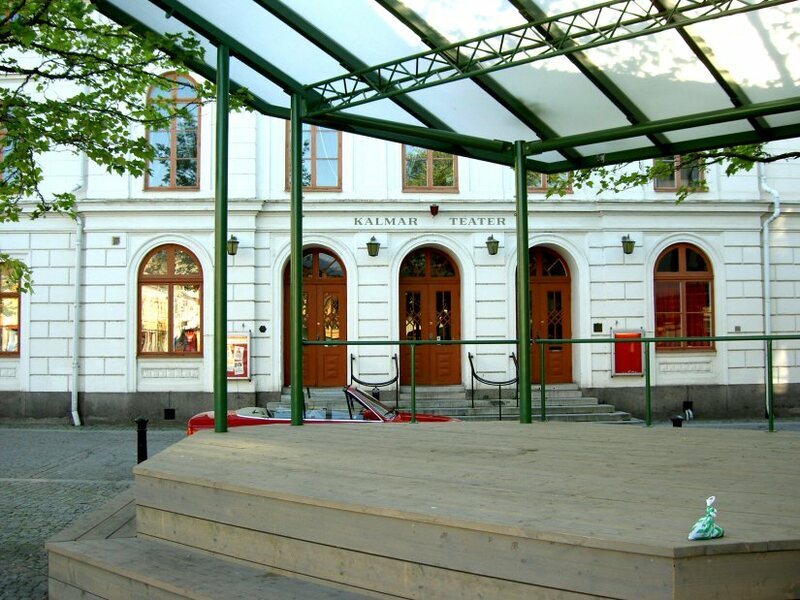 At the end of "Just One Heart" video Agnetha can be seen on the ice rink in Kungsträdgården. 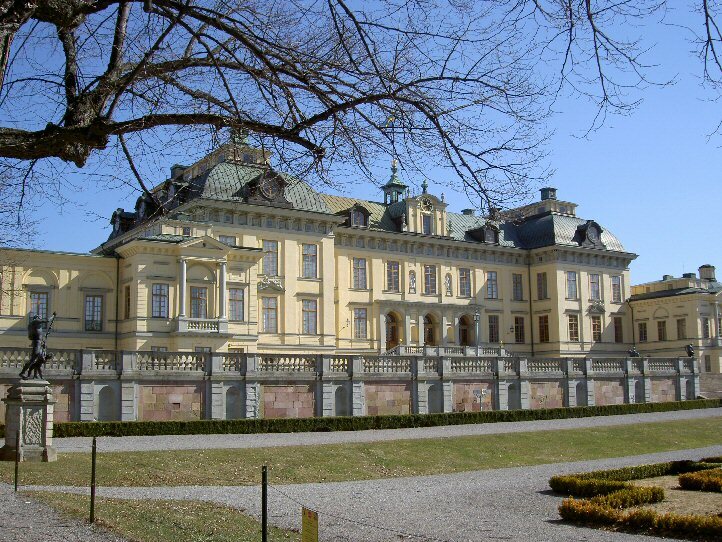 The photo session for the album was taken at the Drottningholm Castle outside Stockholm. 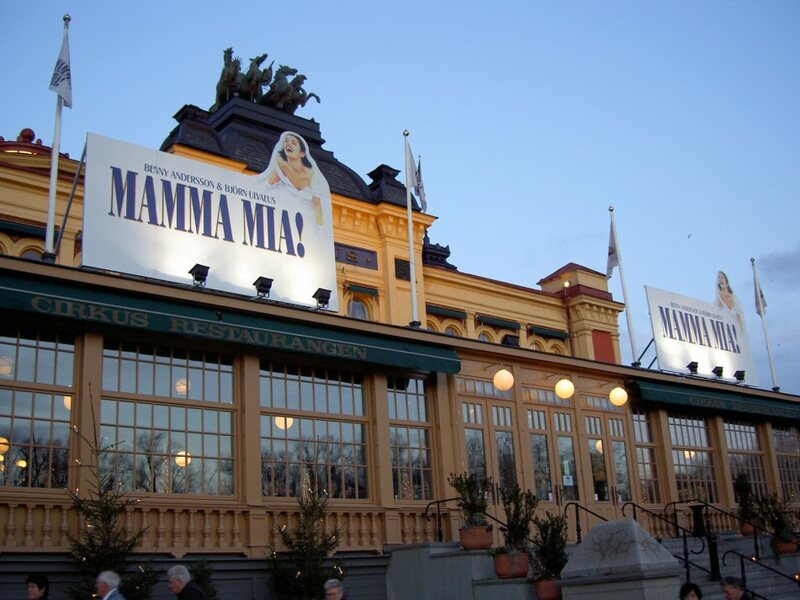 Probably Agnetha's favorite place in Stockholm. 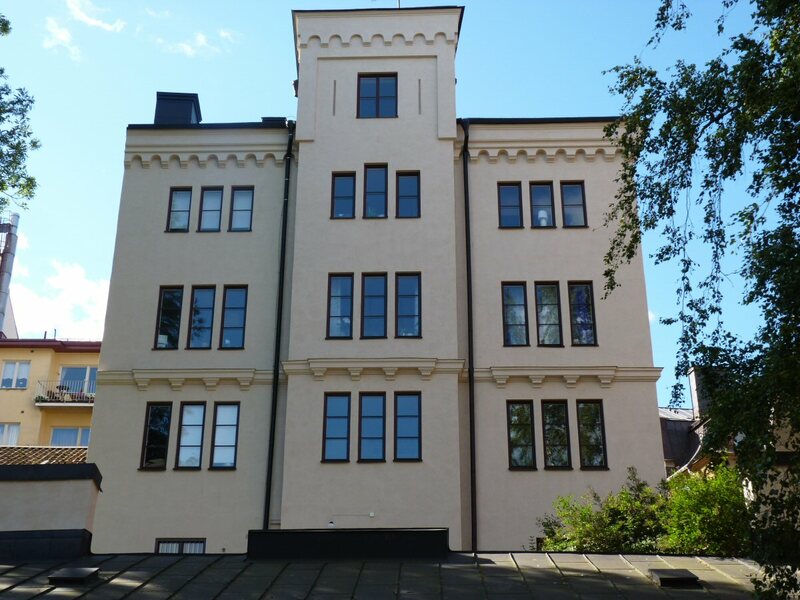 Anyway the balcony on the first floor is the place. 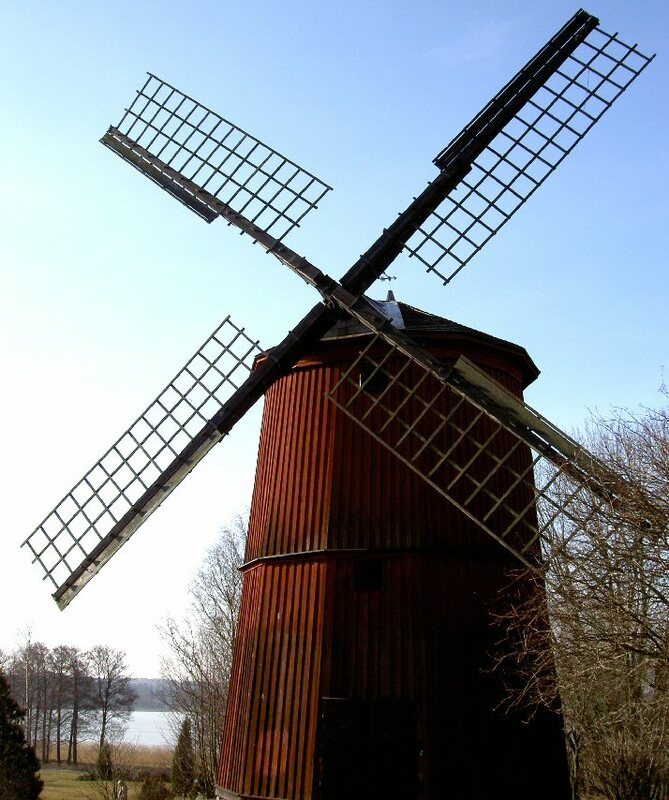 In the summer of 1972 Frida and Benny were photographed in front of the mill in Vallentuna outside Stockholm - just 300 meters from the place where they lived. 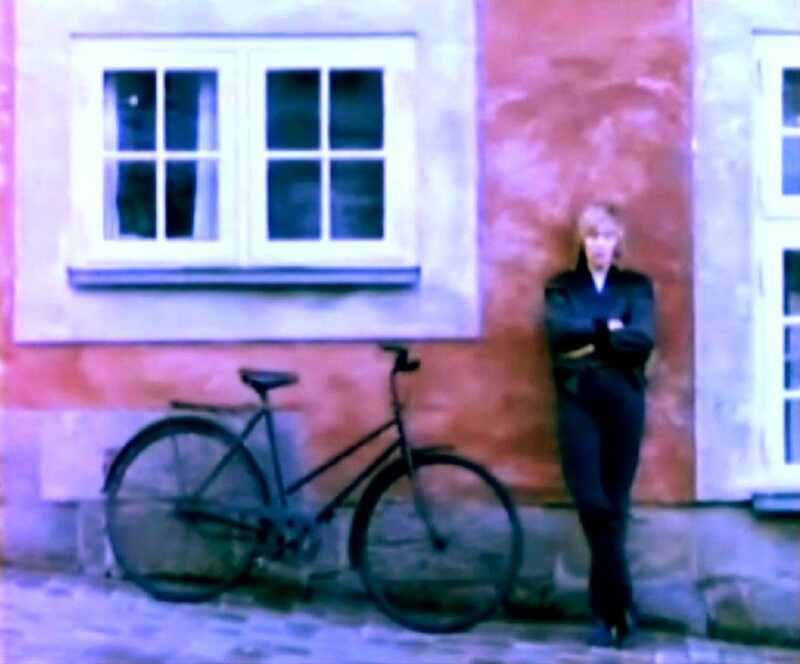 One of the shots was used as a cover picture for Frida's solo single "Man vill ju leva lite dessemellan". 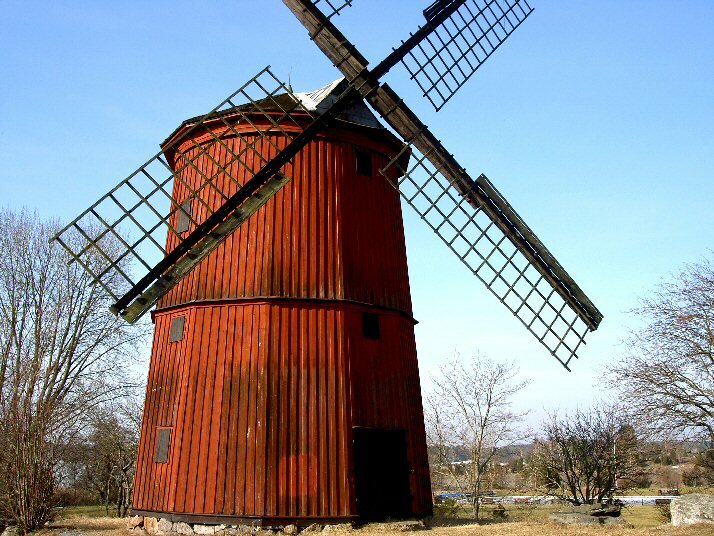 The mill burned down in 2008. 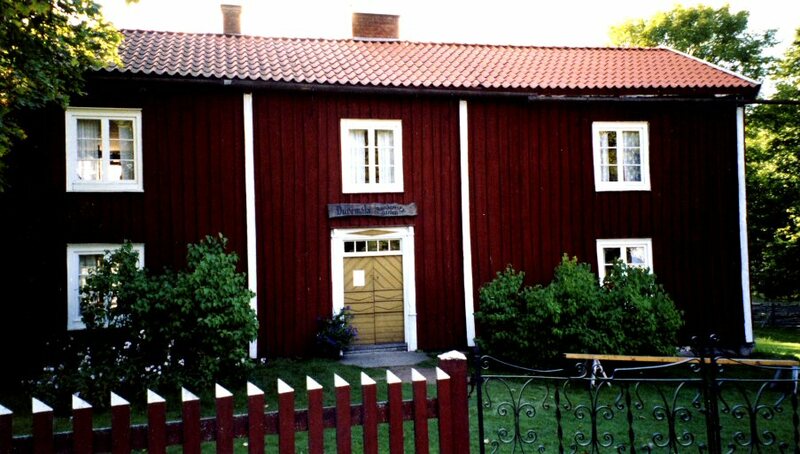 Agnetha Fältskog documentary was broadcasted on Swedish TV on 4 June 2004. 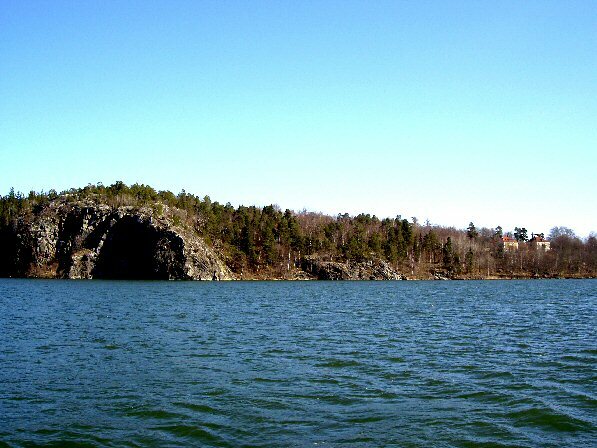 It contained an interview with Agnetha and several videos filmed on the island Ekerö where Agnetha lives. 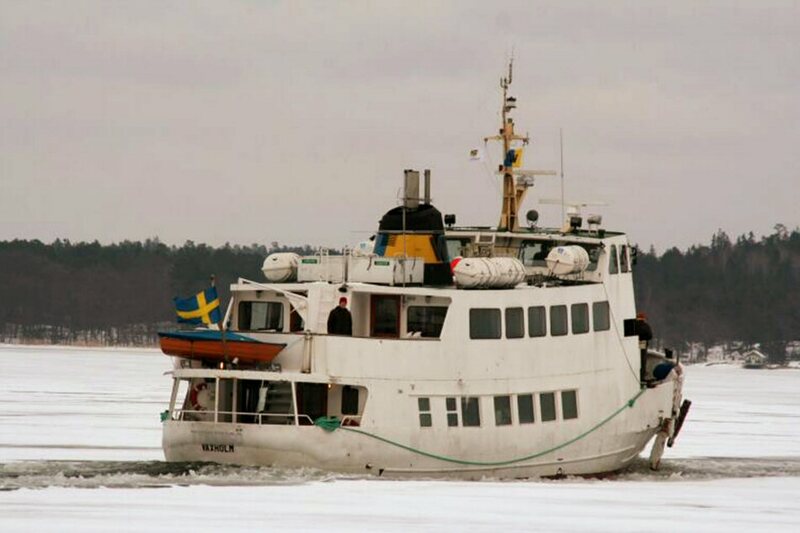 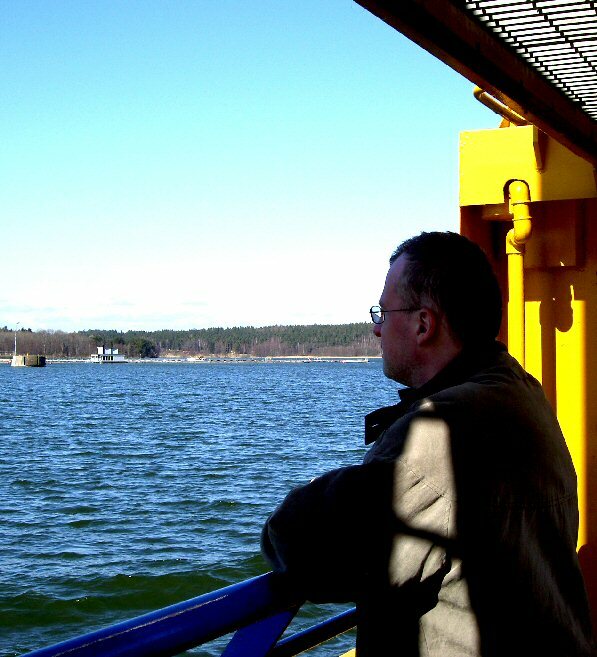 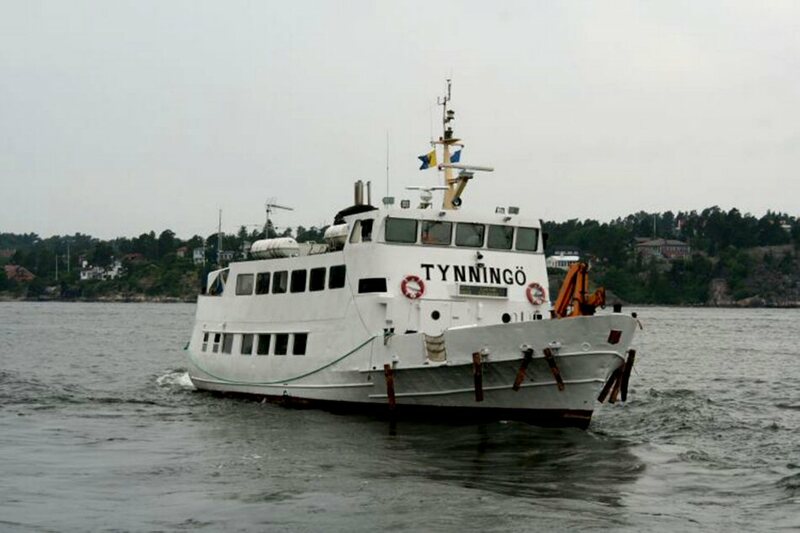 One of the videos was made on the Ekerö ferry which goes between the island and Fittja (the route E4). 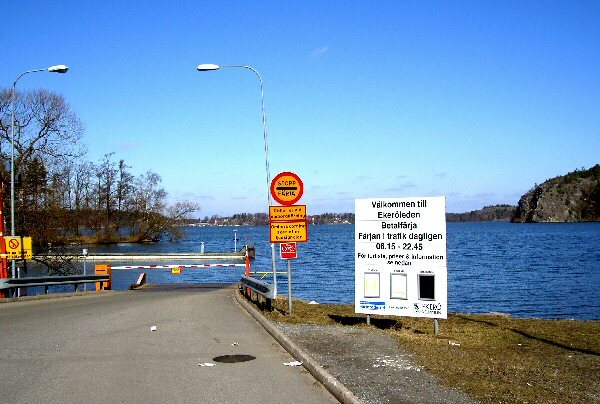 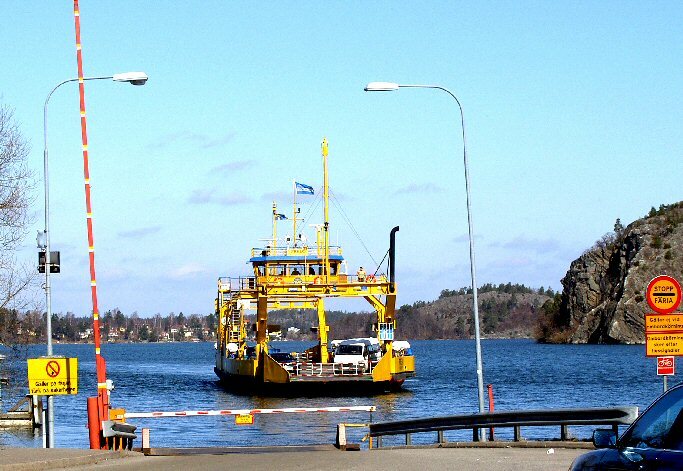 If you come to Stockholm by car it is quite easy to find if you follow the sign "Ekerö - ferry". 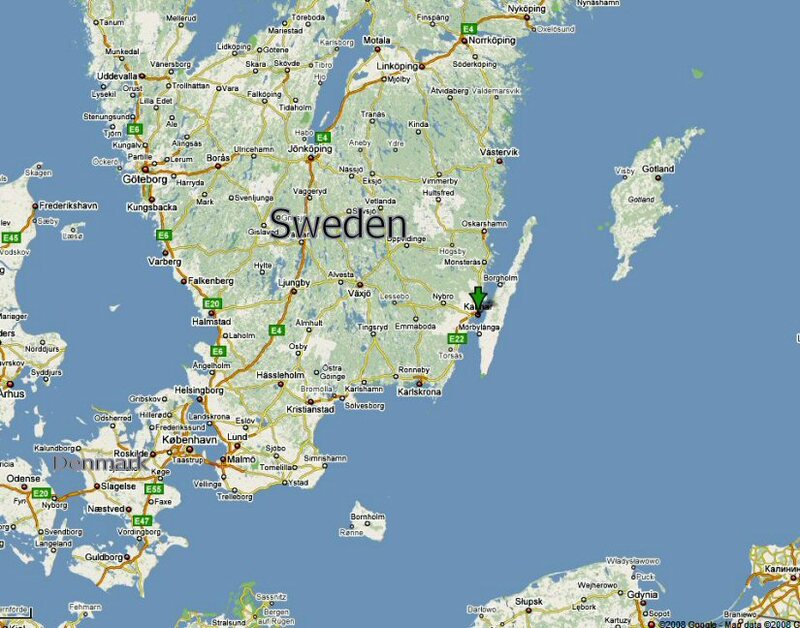 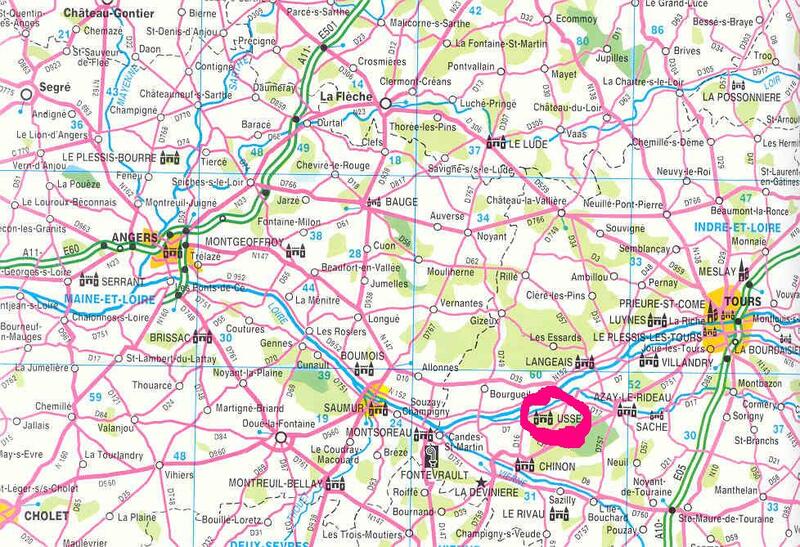 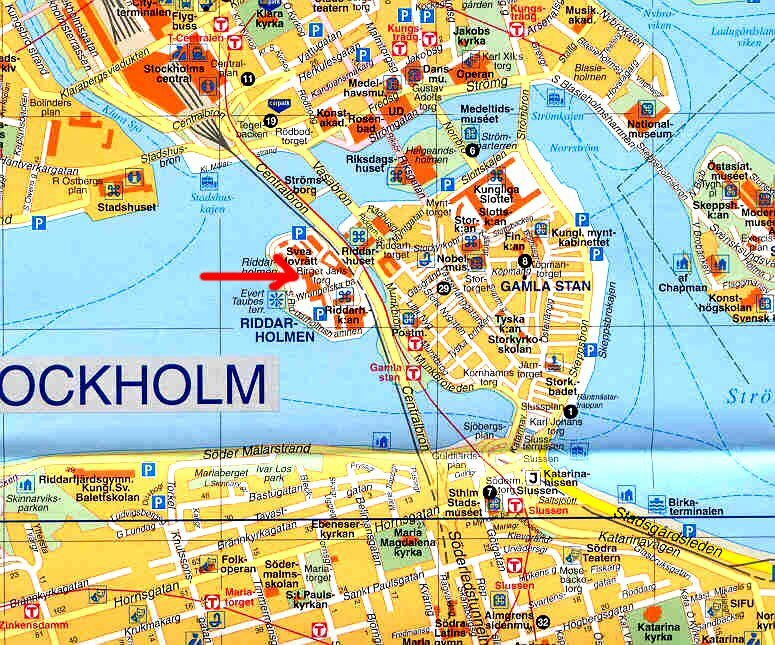 The trip takes about 10 minutes and it costs 40 SEK (about 4 Euro). 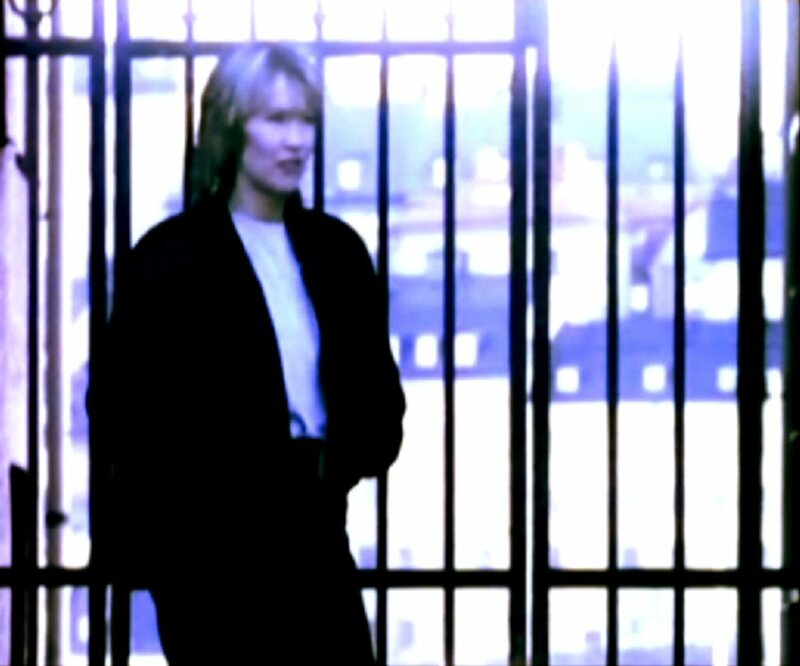 Agnetha Fältskog - the video "I Wasn't The One (Who Said Goodbye)"
The video was recorded on several locations in the Old Town in Stockholm. 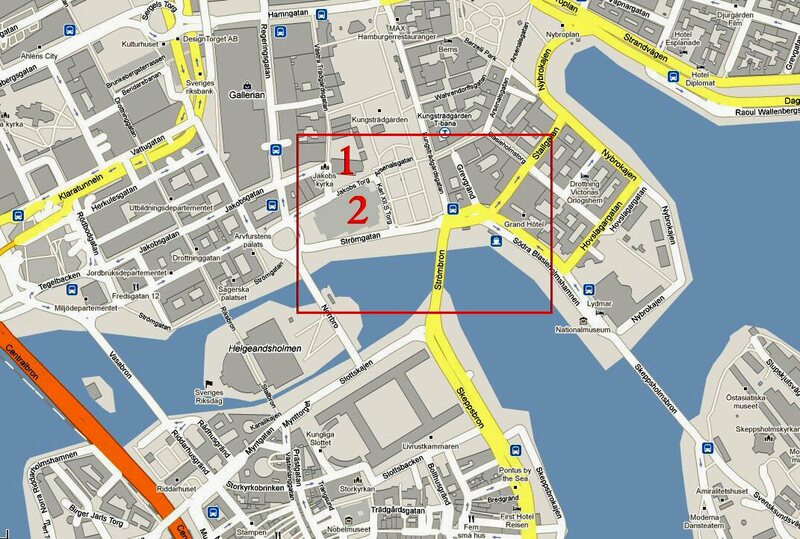 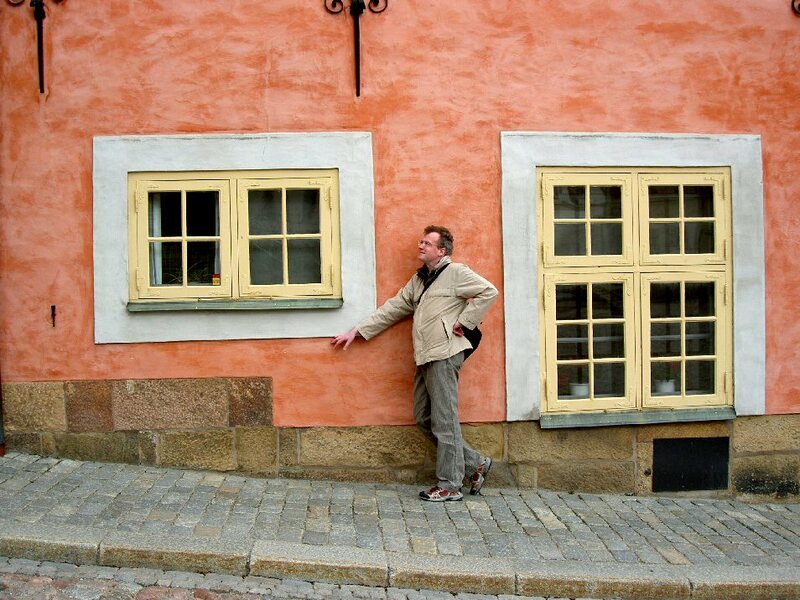 Two well-known shots (above) were taken at Birger Jarls Torg on the island Riddarholmen (see the map).